What really set the tone of the day, however, was when the rally marched down to the official "Australia Day" parade, shifted the barricades and marched along the official parade route. The police tried to stop the protesters - including blocking the way with a police car - but were outnumbered by the crowd of 500 that quickly grew to over 800 people. The speakers at the rally exuded a spirit of pride and resistance and this was then reflected in the actions on the official parade route. When they were part of the parade route, the protesters controlled the pace and the flavour of the march. There were regular stops for smoking ceremonies, speakers and to explain to the crowd what was happening. "No pride in genocide," was one of the popular chants at the protest. Activists report that there was a lot of sympathy and interest from those who had gathered for the official Australia Day event. Some jumped the barricade to join the protest. 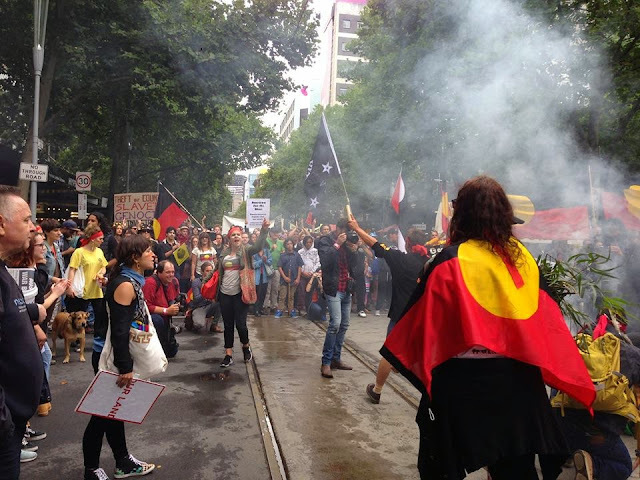 Bolton told Green Left that "when we got to Melbourne Town Hall, the official commentator for the Australia Day march attempted to keep on going as if we weren't there". "However, when they realised that we weren't going anywhere, the officials were at a loss and didn't know what to do." After a period of chanting, the protest proceeded to its scheduled end point at Birrarung Marr Park. 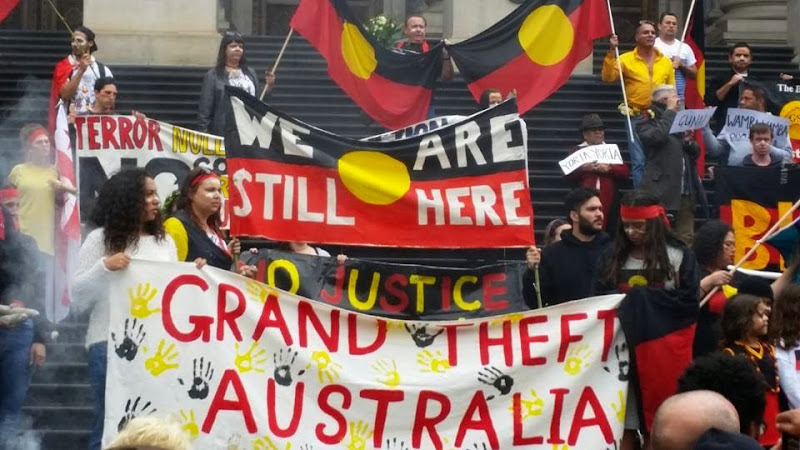 Bolton paid tribute to the First Nations activists who organised and led the march. 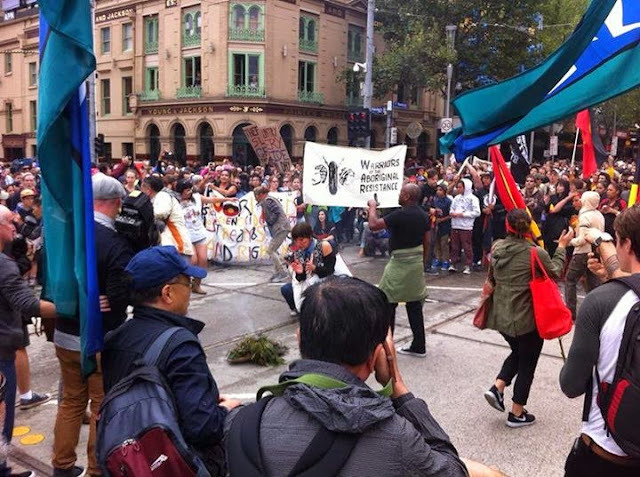 There was also a group of Iranian asylum seekers who joined the Invasion Day protest.